As you know, here at Smokey HQ we love to cook. Whether we’re having a barbecue on a hot Summers day or whipping something up in the kitchen it’s inevitable we’re going to crack open a bottle of wine or two. 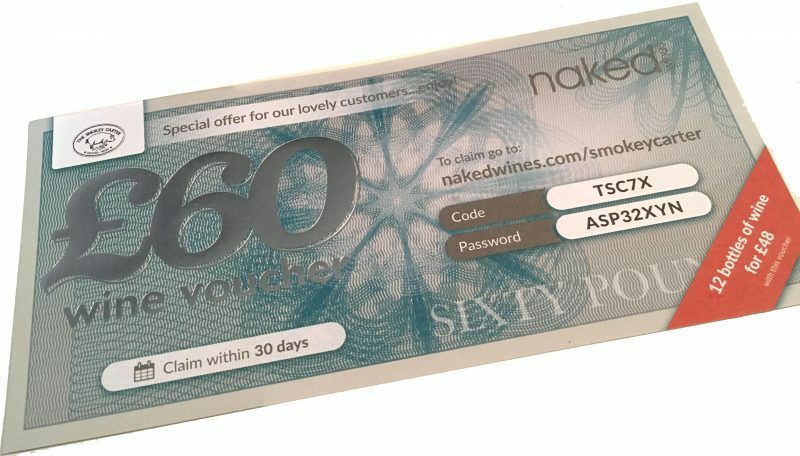 Food and drink go hand in hand, so we have teamed up with Naked Wines to bring you this great offer. Simply choose which case of 12 wines you would like; mixed, red or all white and get £60 off with our voucher code. There are no continuing subscriptions to worry about. Just try it as a one off if you like and stock up the wine rack for Christmas. We have sampled the all red box and were pleased with the variety and quality of wines on offer. 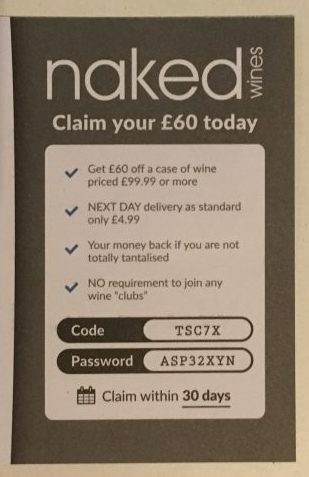 Gone are the days of 3 for £10 at Asda and more often than not you will spend at least £5 on a bottle of plonk. It also saved carrying heavy shopping bags, as they deliver direct to your door. Vouchers will also be sent out with all orders on our website.